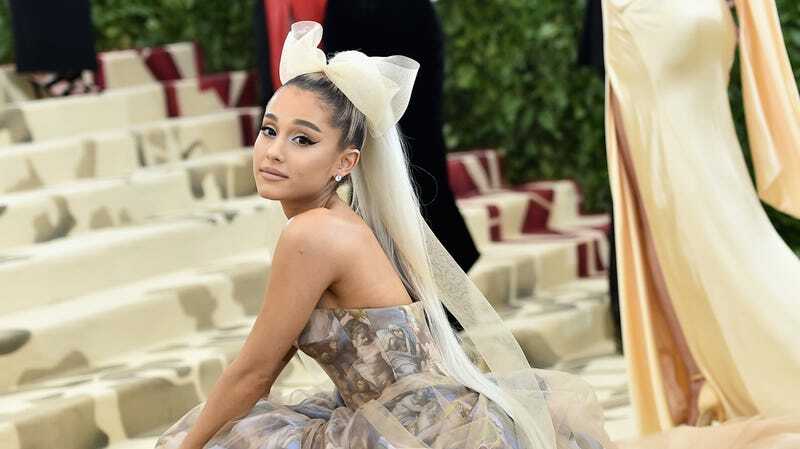 I’m starting to think Ariana Grande’s song “Dangerous Woman” was actually about her ponytail-hoisting lifestyle, which sounds more and more medically concerning with each passing day. Ari responded with her usual mix of detached nihilism and jokes. “well u actually have hair so that prolly makes it a lil more painful....nah jk i’m in constant pain always and don’t care at all,” she wrote. I keep rereading the strings of words that comes at the end of that tweet, and trying to find meaning in it. What is she saying? Does she need help? Is it too late? How much do you think her ponytail weighs? Does it ever throw her off-balance? Several media outlets covered this online interaction between two pop stars as Grande “finally answer[ing] the question” we all have about her ponytail, but the truth is, I have more questions. Namely, I’m still confused about whether or not she’s in pain. But if she is, then Ari lives in a prison of her own design, and she’s free to walk out anytime. And certainly, we can all relate to that, right? Don’t worry Ari; we’re ready when you are.